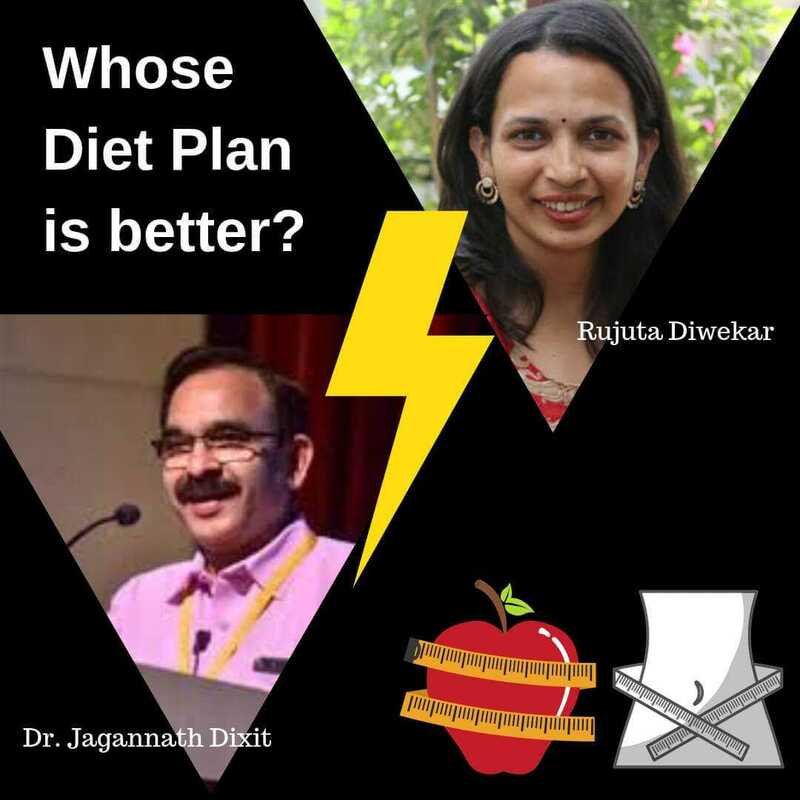 Dr. Jagannath Dixit Vs. Rujuta Diwekar - Which diet plan is better? Like trends in all other industries, the fitness industry has seen a lot of waves in last few decades. Some support Keto diet plan, others go for Low-Carb-High-Fat (LCHF), while others simply swear by rigorous exercise to eat whatever you like. 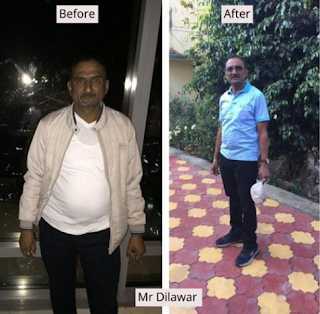 While there is always something that works for some and fails for others, India's homegrown dieticians have been at the forefront of the social media abuzz with the latest fitness trends. What do both these experts suggest and how is it different? Let's take a look. Rujuta Diwekar grabbed all our eyeballs as she suggested that we eat local. It just made a lot of sense to hear that people from a particular region should be eating the food that's grown in their own locality. So for example, people from Pune have proximity to Mahabaleshwar known for its delicious strawberries. So, they should indulge in strawberries aplenty. While those from Nashik should eat grapes more. If you are from Chennai, it makes sense for you to eat rice more than wheat. And the list goes on. Other than eating local, she suggested that it's not right to go for long time spans being hungry. She suggests in her books and videos, that one should eat small frequent meals, ideally one every 2 hours. The small meals could mean a fruit or a cereal or simple 1 ghee roti. Her diet plan is based on the idea that if you don't go hungry for long hours you will not feel VERY hungry (a situation that leads to overeating). Dr. Jagannath Dixit, on the other hand, suggests eating only 2 meals a day. He says you should eat only twice a day at the time that you feel you are the most hungry and follow that time slot religiously. Both meals should be finished within 55 minutes of taking the first bite. His diet plan is based on the scientific fact that your pancreas release insulin every 55 minutes and if you stop eating before that time, your body will release insulin only twice a day. This will stop your body from becoming insulin resistant and thus help you lose weight. Which diet plan do you think is better for your body and why? Please share in comments below. I've been following the Dixit diet for last 1.5 months; with a few breaks. First 3 days were difficult because I ate more than I should; but afterwards, it felt great. To me the Dixit diet makes more sense. What exactly is the difference between these two diet plans? @Rohit Kumar To put it simply, Dr. Dixit's diet is based on the principle of intermittent fasting which says eat 2 times within an 8 hour window and fast for the rest 16 hours. Rujuta Diwekar's diet plan, on the other hand, suggests that to increase your metabolism, you should eat a very small meal every 2 hours. Has anyone tried it for more than 3 months? Total 446 individuals participated in this campaign. • The enrollment was done from 1st July 2018 to 31st December 2018. • We provide questionnaires included demographic information and detailed diet history with special emphasis on frequency of eating, the quantity and types of food items consumed. • During lecture, the author used to guide the participants to find out how many times they are secreting insulin and then deciding upon the timings of lunch and dinner. • He used to collect the questionnaires from the willing participants. The follow up was done on phone every fortnightly. • Out of the total 446 participants, 18 were lost to follow up. • After first week most of them had a feeling of lightness in the body and they also reported increased work efficiency. @Sachid K That's great. Good to see the results.